Cheryl Strand traveled to Haiti for the first time on a 2015 mission trip. She was helping a medical team provide healthcare for those in need. On this trip, Strand came across a three-month-old child with a severe case of pneumonia. The next day, after being treated with antibiotics, the child was in significantly better health and was no longer in immediate danger. It was at this moment that Strand knew joining Global Health Teams was one of the best decisions she ever made. Global Health Teams is a non-evangelical mission team. The organization formed 34 years ago and is based out of King County. 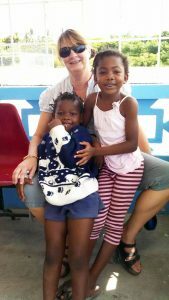 The group organizes people from all medical professions and fields to go on mission trips to Haiti to provide healthcare at no cost to the residents. The clinics that Strand has attended are based in the city of Jérémie. The missions usually last about a week and are scheduled two to three times a year. Strand has traveled with them three times since 2015, the most recent time returning in October of 2018. She plans to continue to go as often as possible when she can find the time outside of work. 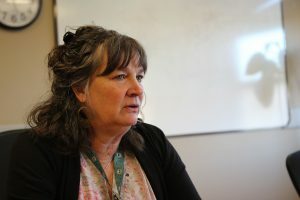 Strand is also a health services manager at Stafford Creek Corrections Center in Aberdeen, Wash. She joined the Washington State Department of Corrections in 2009 as a correctional nurse after she moved to the Harbor to be closer to family. 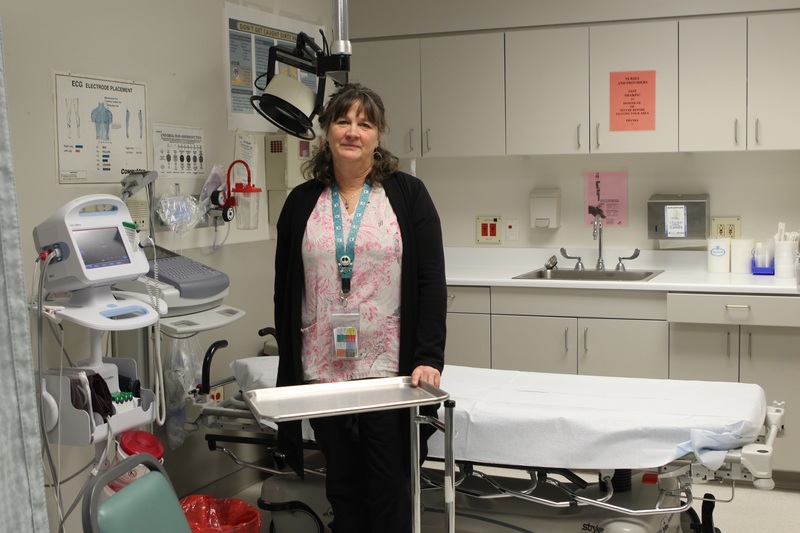 Strand said that the role of a nurse is very diverse working in the facility. Usually, nurses are assigned a specific area of care, but a correctional nurse must be able to perform any type of task that is needed at the time, no matter the situation. The adaptability and problem solving skills it takes to be a correctional nurse were greatly needed in Haiti, Strand said. The clinics take in approximately 200 patients a day. Each team is comprised of four physicians and up to three other members who triage patients who come through the clinic. Strand is grateful for the connections and memorable experiences spent with the team. Hospitals in Haiti are often closed due to the lack of infrastructure in the country. Without the incentive of a paycheck, the hospitals would not have enough staff to stay open. The country is still rebuilding after the earthquake in 2010 and Hurricane Matthew in 2016, and is reluctant to accept foreign aid, said Strand. “It makes you really grateful being here in the states where you have access to medical care,” Strand said. Since the people of Haiti have limited access to proper healthcare, many go without treatment for serious illness and injury for extended periods of time. Strand said she once had a patient with a traumatic leg injury for six months before he came to the clinic to have it evaluated and treated. It’s just one of the many cases that Strand has witnessed during her time there. It always amazes her how the people of Haiti can endure so much. Strand is always encouraging medical professionals to join Global Health in its mission to “alleviate suffering and improve the lives of people in need by delivering quality compassionate healthcare,” as it states on their website. 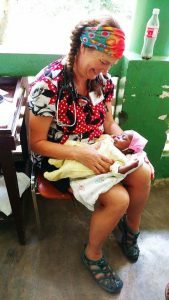 The organization needs teams of physicians, nurses, clinical lab professionals, pharmacists, emergency medical technicians, nurse practitioners and physician assistants interested in volunteering to go on a mission. For more information about Global Health and how to become a volunteer or sponsor a volunteer, visit https://www.globalhealthteam.org/faqs/.